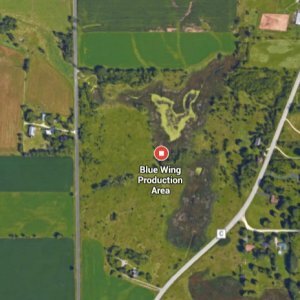 Blue-wing Waterfowl Production Area, located on County Road C, is almost 54 acres in size. 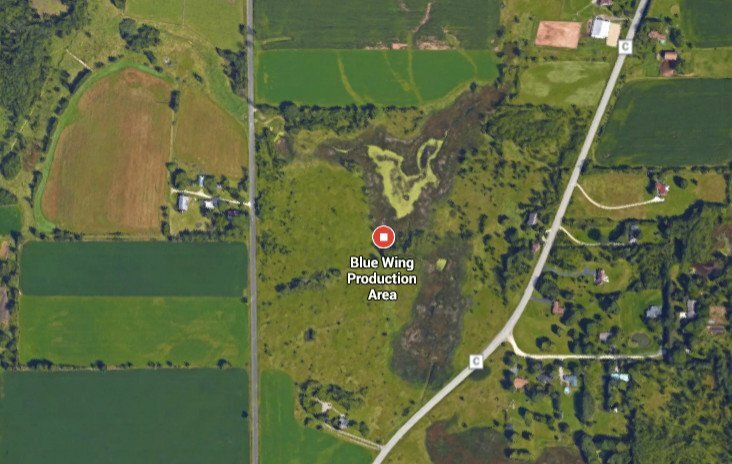 It’sabout half wetland and half grassland. Species such as American bittern and green heron share the wetland area with yellow-headed and red-winged blackbirds, while rough-legged hawks and American kestrels fly overhead searching the grasslands for rodents. Other grassland species such as sedge wren and common yellowthroat can frequently be found on the site. The WPA is managed by Leopold Wetland Management District of the U.S. Fish & Wildlife Service. This WPA is closed to hunting due to the proximity of urban areas but remains open to other compatible uses. For more information on compatible uses, such as hiking, or about the 57 WPAs managed by the District.